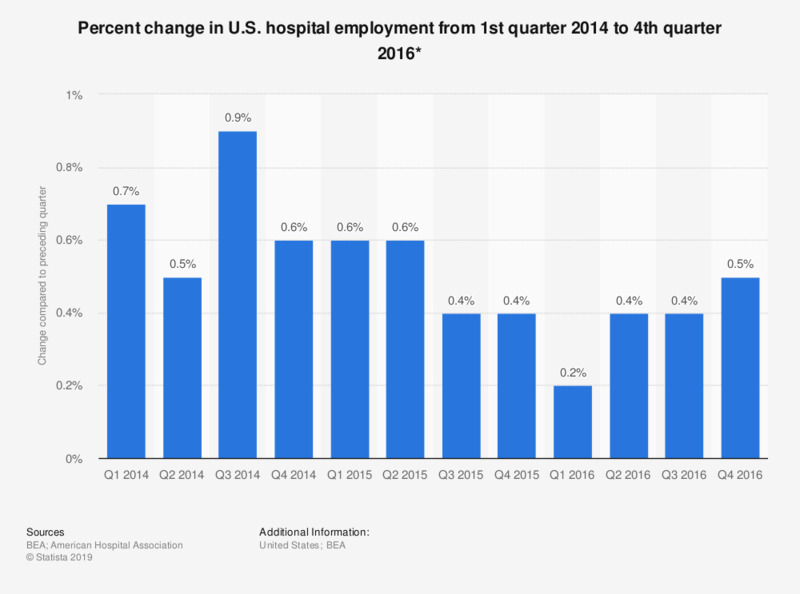 This statistic depicts the percent change in hospital employment in the United States from first quarter 2014 to fourth quarter 2016. In the first quarter of 2015, hospital employment increased 0.6 percent compared to the quarter before. * Seasonally adjusted. Figures do not include public hospitals.